Hamilton Island Watersports - Tourism Town - The Tourism Marketplace - Find and book authentic experiences. Come and enjoy the morning basking in the sun on the legendary silica sands of Whitehaven Beach, voted one of the best beaches in the world! Visit Whitehaven Beach and go snorkelling off Chalkies Beach. This half day cruise has the best of both worlds. The underwater world, snorkelling through the beautiful coral formations teeming with marine life. Enjoy the living colours and many species of tropical fish that are found in the Great Barrier Reef Marine Park. Next stop is Whitehaven Beach. One of the top ten beaches in the world and one of the most picturesque locations in the Whitsundays. If you love beaches or just basking in the sun, this is a must. Payment is not required at this stage. 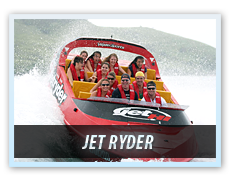 Hamilton Island Watersports will contact you directly to confirm payment options and availability.